Check out this little film Kevin Triplett and Gurf made while they were on their Swedish Death March Tour 2012. It’s about 20 minutes long, and pretty effin’ funny. 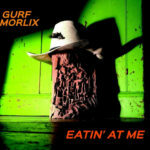 It features a song from Gurf’s forthcoming album, Gurf Morlix Finds The Present Tense (release date March 5). It also has songs by Blaze Foley and Ringo Starr. Troy Campbell and Ray Bonneville also make appearances. OK, here’s the deal – My new album is out now. It’s called EATIN’ AT ME. It has a bunch of really good songs, I think, and the greatest album cover the world has ever seen. In my opinion, anyways. Let me know what you think about that. I am the chief strategist, here at Rootball Records. I’m the only strategist. I’m the label. I’m the distributor. I’m the manager. I’m the booking agent, and I’m the one that sweeps up. I’m in charge. Of all of it. This is a one man operation. That’s my DNA on the copies I mail out to anyone who orders them. Those are my fingerprint smudges next to where I personalized the copy especially for you. 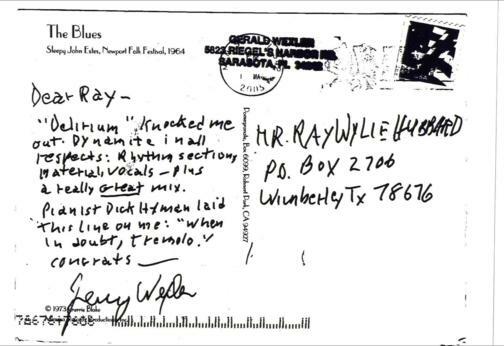 Whatever it was you asked me to write. Well, pretty much. Within reason. I do all this because I care. I care about the songs, which are my babies. I care so much about the sound. I obsess over the recording process more than you will ever know. Every note that was played has been considered extensively, from every possible angle. I try to find the exact placement for every part. From side to side, in the listener’s head. From top to bottom. From front to back. This is all extremely important to me. I once spent an entire afternoon at the Van Gogh Museum in Amsterdam, staring at the 5 or so paintings I thought were the ones that transcended time and space, thinking about how the mixes of my songs, and the sound of the albums I produce, could somehow represent the depth I found in those works of art. I’m not sure I have approached this level of art, but I’m trying as hard as i can. This is how much I think about all of this. I put as much attention into the songs. I used to just get ’em to the point where they pretty much rhymed, and didn’t sound stupid, and then I called ’em done. I have learned a lot from all the amazing songwriters I have worked with, over the years. I think the most important thing I learned is to understand when a song is finished, or not. Ready to be played in public. Or not. I’ve learned that if the creative spark is right, it’s worth however much time it takes to hammer the song into whatever shape it takes. Some of these songs I have been working on for 5 years or more. They are not ready until they are as good as I can possibly make ’em. I put as much thought into the album cover art, and I am fairly well proud of all my covers. A couple were done with a time restriction, and weren’t quite as good as they might have been, because of that. That will never happen again. The main lesson I have learned in all my years in the music business is that there are no deadlines. The powers that will be impose them upon you, but they never really mean anything. Years of experience have taught me that as hard as anyone pushes for a deadline, the date always falls away, and ultimately means nothing. Every time. I love the sound that deadlines make, as they whoosh past my ears. Most of all, I really do care about you, the listener. A phony sounding line, but I am serious. I don’t do this for me. Well, maybe a little, but mostly I do this for you. I’m nothing without you. Sounds trite, but it’s true. I have been out there, on the road, for the past 5 or 6 years, trying to connect with people who like my music. It keeps getting better. That’s all I need to carry on. OK – here’s the deal. Again. If I’m playin’ somewhere near you, please make the effort to come see me. You’ll laugh, and you’ll cry. You’ll get a good show. You’ll be glad you came. If you know a place you think I should play, let me know. If you wanna have me play a house concert, or know someone that might want to host one, let me know. I want to play anywhere anyone wants to listen. If you like any of the albums I’ve produced for other artists, please help support them. We all need all the help we can get. 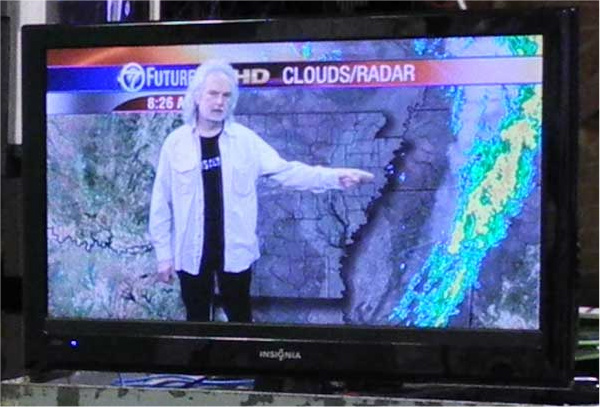 Gurf Morlix was named Instrumentalist of The Year for 2009 at The Americana Music Awards at the legendary Ryman Auditorium, in Nashville, Tennessee!